Capital Link will host the 5th Annual Greek Shipping Forum in Athens, Greece. This event will not only cover the latest developments and trends in international trade, dry bulk commodities, and the energy markets—framed against the broader backdrop of the global economy—but also review the various funding alternatives for raising capital among listed and private shipping companies. Experts will additionally address effective investment strategies and risk management in today’s shipping industry. The Minister of Shipping, Maritime Affairs and the Aegean of Greece, Mr. Miltiadis Varvitsiotis will address the delegates on the role and mission of the Ministry of Mercantile Marine and his efforts to support Greek shipping and the challenges it faces today. His role in enhancing the competitiveness of Greek Shipping is critical. 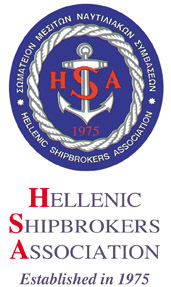 After the luncheon, the "2014 Capital Link Greek Shipping Leadership Award" will be presented to Mr. Pericles Panagopoulos, in recognition of his unique and extensive contribution to Greece and to Shipping. Mr. Panagopoulos, a patriarch of the Greek Shipping Community, commands the respect and appreciation of the industry on a global scale and is the symbol of wisdom and contribution. Last year's Honoree was Captain Panagiotis Tsakos, who with his lifetime achievements has shaped the shipping sector and has honored the name of Greece on a global scale. Capital Link invites institutional investors, analysts, bankers, financial advisors, financial media, and other qualified investors who are interested in enhancing their knowledge of shipping across all sectors. With an average of roughly 900 participants each year, attendees can expect an informative networking forum connecting them to the shipping industry’s key players, including influential members in the financial community, such as commercial and investment banks. For further information, either contact Maria Chercheletzi (Greece), Marketing & Media Relations, at, at marketing@capitallink.com or +30-210-610-9800, or contact Eleni Bej (NY), Director of Special Events, at ebej@capitallink.com or +1 (212) 661-7566. For sponsorship opportunities, contact Nicolas Bornozis at nbornozis@capitallink.com or call +1 (212) 661-7566.